Hello! We are Amy, Nadia, Heloisa, Stephen and Aubrey and together we provide you with memorable, personalised and fully immersive private tours during your time in Hong Kong or Macau. We love to share our city with you, be it with single travellers, couples, groups and families. Most of our tours are by foot, but we also provide air conditioned vehicles for when you have just a short time or have accessibility needs. We love meeting cruise ship passengers docking at Kai Tak or Ocean Terminal – and we will ALWAYS meet you at the ship, and never ask you to make your way to a central meeting point. We can provide you with a fantastic shore excursion to make the most of your short time in the city. We also provide luxury cruises for the harbour firework celebrations, four times a year. We love to be flexible, and although we may provide you with a suggested itinerary, our main goal is for you not to feel rushed and to enjoy your time exploring the city – we can keep things as flexible as you like! Do let us know in advance if you have any special requests and we will do our best to include it for you. Every tour is based around you! When I set up my company, my goal was to be make my guests become a city insider, helping them to learn all about Hong Kong’s history and people. Sharing these insights with overseas guests and being your friend in Hong Kong is what me and my team are most passionate about. When I arrived in Hong Kong over 10 years ago, my goal was to fully immerse myself in the city, its culture and its language. My two children were born here, and while I’m still working on my language skills, I’ve developed a deep knowledge of Hong Kong’s history and people. Sharing these insights with overseas guests and being your friend in Hong Kong is what I am most passionate about. Why consider a private tour? Because Hong Kong is at its most magnificent up close and personal! Not only that, but with me around, you can ask any questions that spring to mind, eat items you may have been reluctant to try, learn how to use the public transport system and much more. I can adapt the itinerary to give you the enjoyable day you’re looking for. I always want you to get the most from Hong Kong and so will adapt the tour to suit you. Whether you want to see the famous skyline, ride the tram or Star Ferry, keep the kids entertained, go to the historic neighbourhoods or visit a local Hong Konger in their home, I have the perfect itinerary for you. My most popular tours are on foot and by taking the cheap and efficient public transport to get us around quickly. However, I can also offer tours in a private vehicle for those hot summer months or for accessibility needs. All my tours are tailor-made, so if you have any specific wishes let me know and I’ll factor that in. In my four years as a tour guide, I have been asked for many things. From organising a marriage proposal on Repulse Bay beach at the God of Marriages, to hunting for a former RAF base in the New Territories, from eating novelty dim sum which vomits(! ), to holding snakes and visiting a local in their “average” sized apartment. You name it, we’ve done it! Have a look at my tours here or my news section here to give you some ideas as well, or email me directly amy@hkgreeters.com. I have been fortunate enough to receive the TripAdvisor Certificate of Excellence four years running, and I have the highest 5-star rating on Tours by Locals. I love guiding, it’s such a lovely job and I am truly energised by the people I meet. 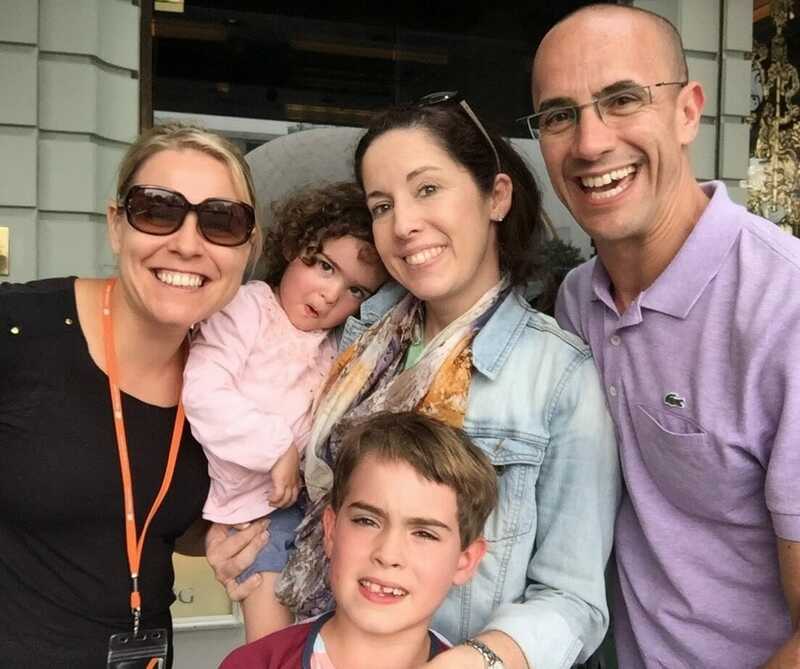 Be it families, couples or small groups, I learn something from you every time and always feel like I have found new friends in the far corners of the world. Hopefully you will see this reflected in my reviews as well. Book a tour with me, I look forward to greeting you! Welcome to Hong Kong, China’s most dynamic city! I have lived here for several years now and I have immersed myself fully into the rich culture of China. My family and I started our Asian journey in Shenzhen, the world’s centre for the electronics industry and a surprisingly green metropolis before we moved to Hong Kong. My 10-year-old son attends a local school and has mastered the Chinese language, and so, with him, I too began to learn, alongside the history and traditions of the largest and most mysterious country in the East. Becoming a licensed guide has meant that I can apply my knowledge of Asia in a job I love. Whatever your interests are and whatever time you have to visit, I would love to share my experiences with you, our guests. I like to open up a secret side to Hong Kong so you can see it in all its true form, meaning the good and the bad, to give you the authentic experience you are looking for. You may have heard about this skyscraper city, with ultra-modern structures alongside ancient traditions, its mind-blowing density, and unique history? Let’s dig deeper and explore it together! Even if you have already visited before, I will gladly discover something new and unique, just for you. I will become your friend, and you will leave knowing you have truly seen the real Hong Kong. Why choose a private tour? It will be like visiting the city with a knowledgeable friend. I’ll pick up the keys to Hong Kong’s secret doors, through which you get inside the city, and see what is usually not shown from on TV or glossy covers of magazines. I can answer any question that may arise from a sophisticated traveler, and I can also converse with local residents. I know how to use the public transport system, the most economical way (trams, buses, metro) and the most chic (boat, helicopter, limousine). In addition to the popular tourist attractions, Hong Kong has many islands with their own unique culture and other secrets that I will gladly share. I always strive to ensure that guests receive the best the city has to offer, and choose the route of the tour according to your interests, wishes and preferences. Whether you want to see the sunset at the Peak, take a tram ride or Star Ferry, interest and entertain children and teenagers, take a stroll through the historic neighbourhoods or even visit a local resident in their home, I have the perfect route for you! I’m Heloisa, Brazilian, born and raised in a small town in the south of Brazil. When I was young, I loved to travel with my family in Brazil, but it was my first trip to the USA when I was 15 that really opened the doors of the world for me! Since then I’ve always dreamed of living abroad, and I was fortunate enough to fulfil this dream when I was 25. I have now visited over 50 countries and have had the pleasure in living in four of them; Italy, Spain, United Arab Emirates and now Hong Kong. It is as a result of these experiences that I learned to speak Spanish and English fluently as well as my mother tongue, Portuguese. And here I am, in Hong Kong, a place that I couldn’t ever imagine I would live but thanks to my husband we have already been here for two years. Hong Kong is a place that has surprised all my expectations since I first arrived – I still can’t believe how green, vibrant, energetic and beautiful it is and with so many contrasts and places to go and things to do. Being a tour guide in Hong Kong is how I can share my passion with you about travelling, traditions, cultures and all my experiences of living here. It will be my pleasure to guide and take care of you during your stay in Hong Kong providing unforgettable moments to be remembered forever. Looking forward to have you here soon! Born and brought up in Hong Kong, I went to the University of Macau, where I obtained my bachelor degree and probably more importantly, met my wife. Shortly after we were married, we moved to Canada but returned to Macau to take care of our ageing parents. Through my work in Hong Kong, Canada, China and Macau, I’ve been fortunate enough to work with and learn from people from different cultures and backgrounds. In my role as a tour guide I’m delighted to be able to meet travellers from across the globe and share with them the city that I call home. Macau is a city packed with culture and heritage and my role as your guide is to create a personalised and thoughtful tour to allow you to understand and delve into the culture of the city as well as learn more of its history. I am more than happy to share with you everything I know about the city and make your trip a memorable one and have been honoured to plan and deliver tours for over 200 people in the last two years. This is a fascinating city, and my goal is to share the stories, insights and history that make Macau unique. Regardless of your time constraints or interests, I can create an itinerary to suit your needs. Can’t wait to come and explore Macau with me? Click to learn more about the tours I offer. Hello I’m Stephen, and I grew up on the island of Cheung Chau, one of Hong Kong’s inhabited outlying islands. This tiny vehicle-free location is what spurred my passion to understand my heritage, culture and history. I also have a love of the outdoors, particularly cycling, which was the only way to get around my home island in a hurry when I was growing up. My passion for Hong Kong’s heritage was ingrained from a young age and I attended the Cheung Chau Fisherfolk’s school where I was able to learn much about the culture of Hong Kong’s traditional fisherfolk. My mother from the UK and my father was from Hong Kong, making me the epitome of Hong Kong’s east meets west culture. I am fluent in both English and Chinese and am also able to wonderfully capture your memories as my second jo is as a trained photographer and videographer. ask any question that springs to mind – it’s just you and your guide and no other crowds! and ultimately provide you with the enjoyable experience you’re looking to get from visiting a new country. 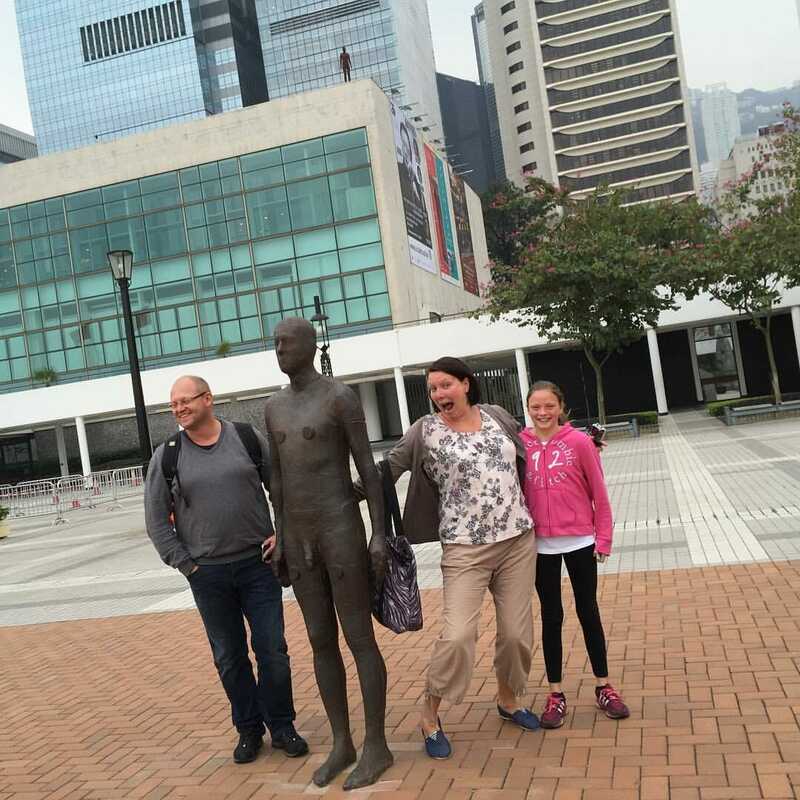 “We had a 6 hour private car tour of key highlights of Hong Kong with Amy. She was an amazing host to our family of four including two young children. Being a mom herself, she was so accommodating and helpful with our family routine and needs... Such a treat to be in the company of a local who is so hospitable, knowledgeable and interesting to spend the day with.